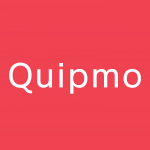 The Quipmo pre / post rental form is an integral part of Quipmo trust and safety protocol. Completing a form for each rental ensures any issues identified either before or after the rental are documented and acknowledged by both the Renter and Owner. There are seperate forms for Surf, Bike, Snow, SUP, Ski and Kite however if you prefer, we also have a Blank version which you can use to suit your particular rental! Whilst the form provides a diagram of the gear for noting a particular issue, we strongly recommend that photos are also taken where possible.